The Philippine revolution in the closing years of the 19th century had a great effect on the Recollects. It became necessary to seek new fields of mission, at first mainly in the Spanish speaking world of South and Central America. In the Philippines itself, under American influence the English language took on a new importance. Provincial chapters of the Province of Saint Nicholas of Tolentine began to speak of the need for a house in the English-speaking world so that its missionaries could be more suitably prepared to meet these changed circumstances. The advent of the Spanish Republic in the early years of the 1930’s, with its growing climate of social unrest and antichurch feeling, was the final encouragement the Recollects were to need. There was now an urgent need for a secure base for the training of future priests and missionaries. In 1932, a group of Spanish Recollect priests sought a priory in England. They founded St Austin’s in Ivybridge, Devon. The second was found in Honiton where a parish Church, and later a Seminary was built. In 1970 the Order expanded into London by purchasing a house in Kensington and now has parishes in Kensal New Town and Wembley Park. At the turn of the new century the Vicariate took on a new mission, to care for the immigrants from South America. 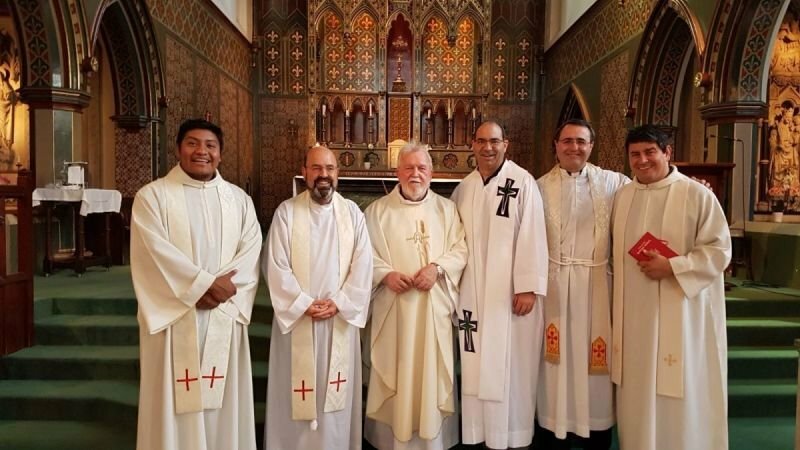 The Latin American Chaplaincy is now established in the Parish of St Anne’s in Vauxhall in South of London.